With its streamlined and clean lines, the Elipse Case combines function with fantastic style. Featuring chrome side details, which then reflect details of the surrounding ambiance. The eLipse Case is both modern and smart, it will suit any type of environment. With minimalist chic and maximum practicality, the Elipse Case allows a view of its mesmerizing flames from all angles. 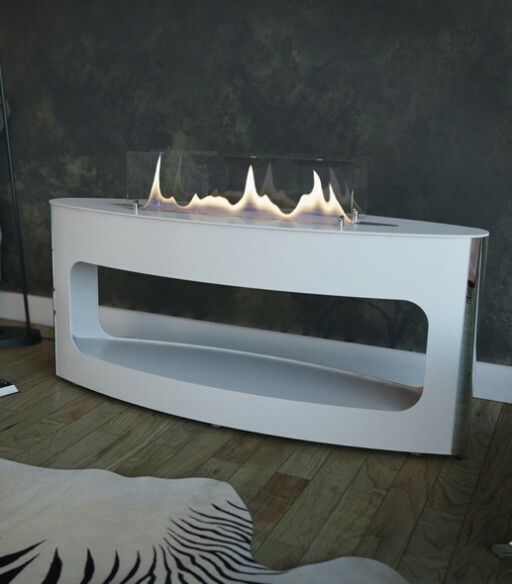 This fashionable, free standing, stylish design features a patented wick-burner which is considered the safest bioethanol burner on the market. The two reflective glass panels protect the flames from air drought, facilitating a line of beautifully mesmerizing flames.